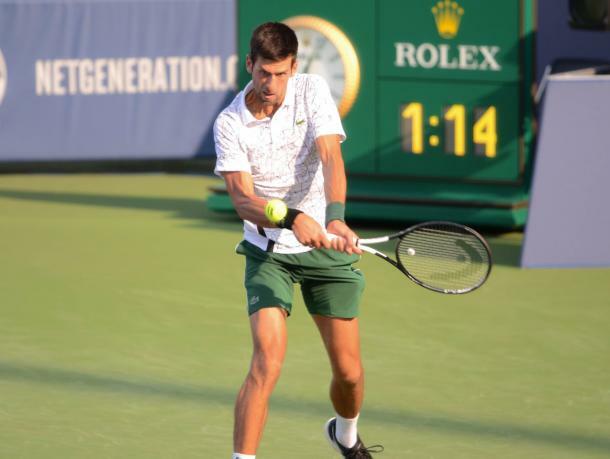 The sixth time was the charm for Novak Djokovic as the Serbian became the first singles player to win all nine current Masters 1000 titles, capping it off with a straight-sets win over Roger Federer in Cincinnati. At long last, Novak Djokovic’s wait for more history is over. 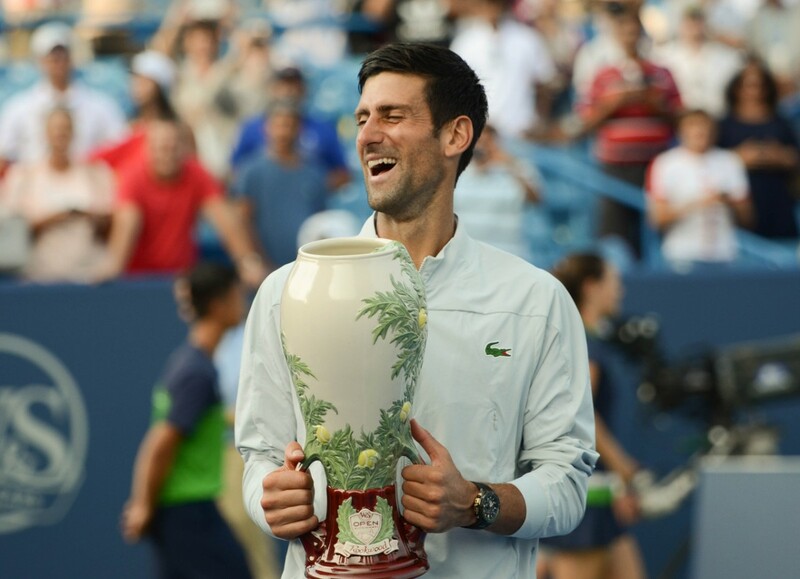 After falling in five previous Cincinnati finals, the Serbian became the first male singles player to win all nine current Masters 1000 titles by claiming the only one that eluded him: the Western and Southern Open. To do so, he capped off a dramatic week where he survived several scares by beating the most successful player in Cincinnati Masters history, seven-time champion Roger Federer, in straight sets in the final. The Serbian took full advantage of a subpar performance from the second seed, acting as a stone wall on the baseline and sending everything the Swiss had to offer back at him. The result was a ton of uncharacteristic errors off the racquet of Federer, which Djokovic kindly accepted for three breaks of serve in a 6-4, 6-4 victory. Djokovic showed no signs of tiredness after his four consecutive three-set matches leading into the final, putting pressure on in his opponent’s opening service game. Federer went up 30-love but let the lead slip away before Djokovic fired a backhand winner up the line for 30-40. The Serbian missed his return but got a second chance when Federer dumped a volley into the net. But the Swiss fired an ace, the first of three unreturned serves to hold. In response, Djokovic held his opening service game to love. After his tense opener, Federer had a much smoother time the second go around, holding to love. The pair would exchange routine holds until 3-all when some uncharacteristic Federer errors cost him. First, with the game on his racquet at 40-30, he shanked a backhand into the crowd to let the game back to deuce. He double-faulted to give Djokovic a break point and on the ensuing rally, swung at a forehand but completely missed to give Djokovic a break lead. The Serbian would consolidate the break with a hold to 15. After Federer held to force Djokovic to serve it out at 5-4, there was a brief spark when the Swiss took the opening point. But the five-time runner-up quickly put doubts to bed by winning four straight points to wrap up the opening set, his first ever set won in a Cincinnati final. The first set was critical, as Djokovic had never lost a Masters 1000 final after winning the opening set. However, hope was not lost for Federer who had come back from a set down to win six of his 27 Masters 1000 finals. Federer sent notice early in the second set that he was eager to make it seven comeback wins as he reached deuce on Djokovic’s serve for the first time in the match in the Serbian’s first service game of the second set. At deuce, Djokovic sent a forehand into the net to go down break point for the first time. He would double fault to give the Swiss the early lead. It was short-lived, as Federer was under pressure in the very next game. He first had to save a break point at 30-40 after sending a volley wide but escaped with some strong attacking tennis, finishing with a smash. But consistency was eluding the Swiss, as he double-faulted to give Djokovic a second chance and then sent a routine forehand from the midcourt wide to give the break back. Once again, the seventh game of the set would give Federer trouble. From 40-love up at 3-all, the second seed committed three straight unforced errors to allow Djokovic back to deuce. He then double-faulted to go down 40-AD. Net play had been a problem for Federer all day and some poor volleying on break point allowed Djokovic to rip a forehand passing shot up the line to take the break lead. Djokovic had a chance to avoid serving the match out as he took a love-30 lead on the Swiss’ serve at 3-5, but Federer battled back to hold. The seven-time champion would mount a challenge as Djokovic served for the match, fighting to 30-all. But from there, he sent a backhand into the net to give the Serb match point and then sent a forehand long to give Djokovic the historic title. Djokovic was very solid in the match, winning 71 percent of his first serve points, an impressive 78 percent of his second serve points, and striking 12 winners to only 15 unforced errors. The biggest key to his victory was break points. While he did not save any in the match, he only gave Federer one break opportunity. In comparison, the Serb created six on his opponent’s serve, converting three. Djokovic did exactly enough to claim victory as Federer played far below the level that has seen him win seven titles in Cincinnati. While the Swiss had more winners with 24, he also had 28 unforced errors. That includes four double faults. Federer only won 47 percent of his second serves and gave himself few chances to break by only putting 51 percent of his returns in play. The title is Djokovic’s 31st Masters 1000 crown and 70th title overall. 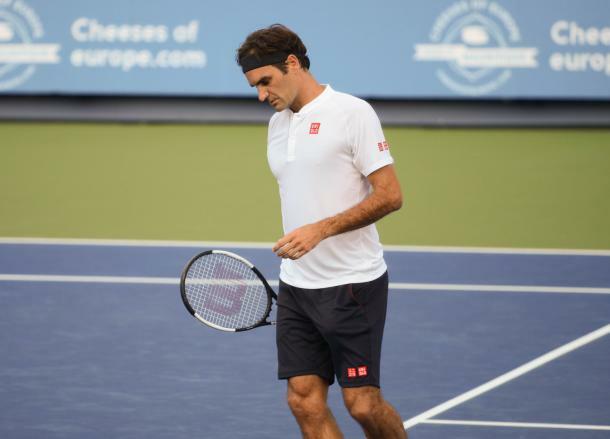 The Cincinnati Masters completes his set of all nine current Masters 1000 titles (Indian Wells, Miami, Monte Carlo, Madrid, Rome, Canada, Cincinnati, Shanghai, Paris). He joins doubles specialists Daniel Nestor, Bob Bryan and Mike Bryan as the only men ever to win all nine.